There is uproar in the land over the National Assembly’s massive alteration of the budget. In fact, a non-governmental organisation described the action as “criminal”. 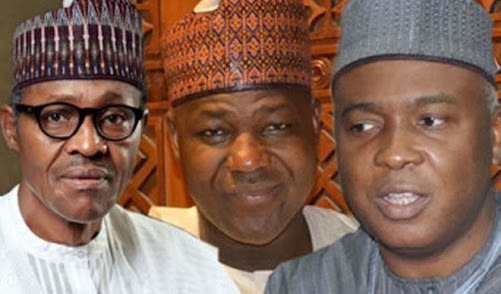 The lawmakers cut 4,700 projects amounting to N347billion from what President Muhammadu Buhari presented and introduced 6,403 projects of their own amounting to N578billion. The Nigeria Labour Congress (NLC), the Manufacturers Association of Nigeria (MAN) and the Lagos Chamber of Commerce and Industry (LCCI) were also outraged. The President, who reluctantly signed the Bill, plans to send a supplementary budget to the lawmakers. According to him, many of the projects unilaterally removed are critical to infrastructure development and economic recovery. These include the Lagos-Ibadan expressway, the East-West Road, The Enugu Airport, the Itakpe-Ajaokuta road, the mass transit and major arterial road in the FCT and the take-off grant for the Maritime University. The lawmakers also raised their own expenditure from N125billion to N139.5 billion and put into the budget 70 new roads. Southeast senators cried foul over the removal of funding for the Enugu airport. The Socio-Economic Rights and Accountability Project (SERAP) described the lawmakers’ action as a crime against humanity, the Ijaw Youths Congress (IYC) said it was self-serving. But Senator Dino Melaye said the President was not bound to sign it if he had reservations. He said the National Assembly is not an extension of the Presidency and the lawmakers no rubber stamp. The Southeast Senate Caucus was shocked over the cut in the allocation for the Enugu Airport terminal. The lawmakers said they were jolted to hear that an allocation of N2 billion sustained by the two Aviation committees of the Senate and House of Representatives was slashed to “a mere” N500 million. The caucus said it had already summoned an emergency meeting of Southeast lawmakers to unravel at what point the cut was effected and by who. Members of the caucus are agitated that “a region that hardly receives a fair share of the national patrimony”, the little that came its way could be reduced as to make nonsense of the entire budget for the Airport Terminal. Southeast Senate Caucus Chairman Senator Enyinnaya Abaribe insisted that no right-thinking Igbo would support any cut in the allocation for projects in the Southeast. He noted that they lobbied for the Enugu Airport Terminal allocation to be increased to N3.5 billion until the Ministry of Aviation told them that what they had was an envelope which could not be increased beyond the N2 billion allocation. He said the N30 billion was listed for expansion and re-inforcement of infrastructure in the distribution companies to reduce stranded firms. Deputy Senate President Ike Ekweremadu said he expected eagerly the supplementary budget on the Enugu airport to correct the cut in its allocaton. In a statement by his media adviser Uche Anichukwu, Ekweremadu said: “I am happy that the President has indicated that he would send a Supplementary Appropriation Bill. So, by the time we are briefed by the relevant Committees, we will work with our colleagues from other zones to ensure adequate provisions for the airport”. He urged the Federal Government to release the already approved N500 million so that work could continue at the airport in earnest. It said the failure to decisively address allegations of padding of the 2016 budget allowed the practice to continue with almost absolute impunity, adding that “crimes against humanity invoke criminal responsibility”. The IYC described the alterations as self-serving and against the national interest. A statement by its National President Eric Omare, said the IYC took particular exception to the reduction of the initial funds earmarked by the takeoff of the Nigerian Maritime University (NMU), Okorenkoko and the all-important East/West Road, which are considered as key to the sustenance peace in the oil-rich region. Melaye, Chairman, Senate Committee on Federal Capital Territory (FCT), said: ”I notice that the President is trying to whip up sentiments against the National Assembly again, by alleging that the 2018 budget was padded. “What the President is authorised to do constitutionally is to present the National Assembly with a Bill; a Bill is a work-in-progress and not the finished work. “The National Assembly is not expected to rubber stamp whatever Bill the president presents.